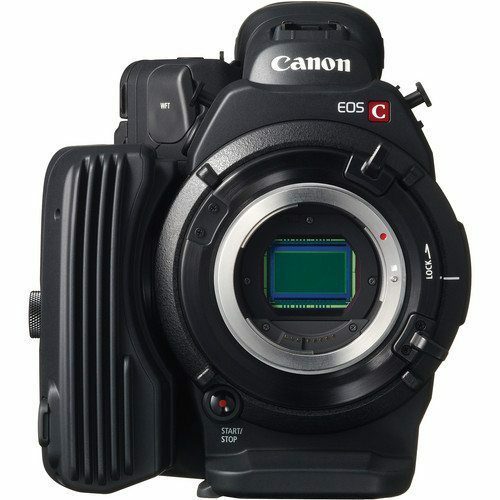 The powerful, compact EOS C500 offers 4K video capture, RAW data output and Canon Log Gamma to unleash the full potential of Cinema EF Lenses and deliver high-quality video with wide dynamic range. The EOS C500 offers 4K 10-bit RAW, 2K RGB (4:4:4, 10 / 12 bit) or Full HD RGB data output to a compatible third party external device at frame rates of up to 60P. Two further SDI outputs can connect to an external monitor. Simultaneously record Full HD MXF files to CF cards for use as proxies in desktop editing. 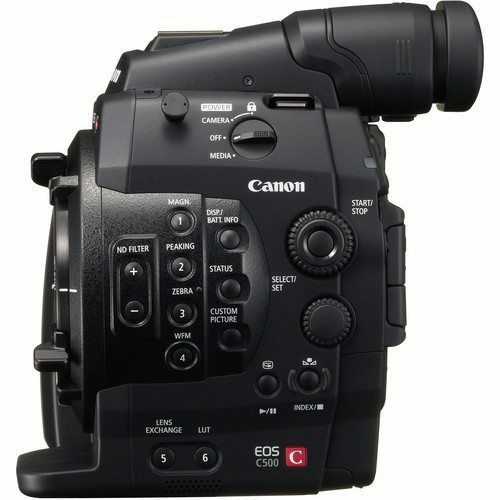 During internal CF recording mode, the Canon EOS C500 4K provides a Slow and Fast Motion Mode that can be used to record at a different frame rate than the playback frame rate, thereby resulting in either a fast or slow motion effect. Because the Canon EOS C500 4K is recording real frames, and simply modifying the data playback rate, there is no overall quality loss due to interpolation; maximum image quality is maintained. In HD 1080 mode, fast motion is supported at up to 30-times normal rate and as slow as 1/1.25sec. ; in HD 720 mode, fast motion is supported up to 60-times the normal rate, and as slow as 1/2.5 seconds. 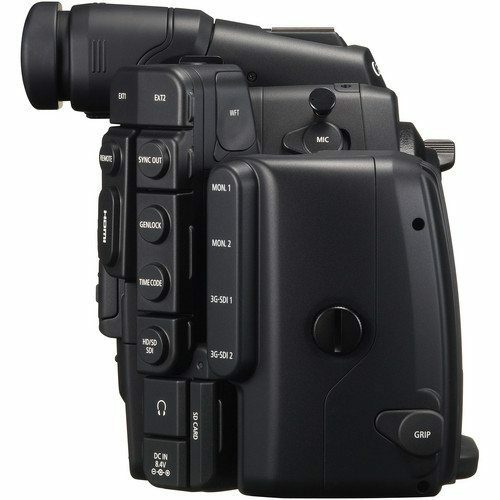 In 4K / 2K output modes the camera provides variable frame rate control that can be output to external recorders. 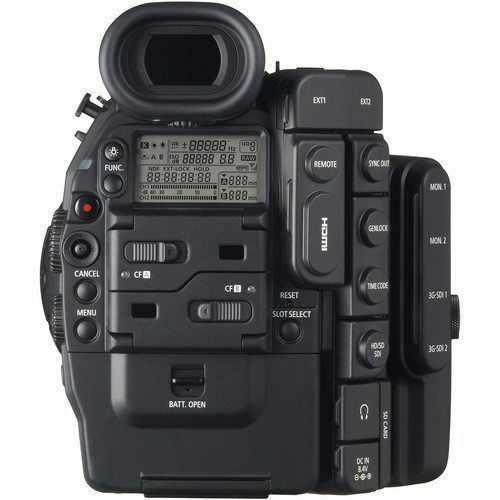 The Canon EOS C500 4K incorporates an interval recording function. With this feature set, users can program the camera to record a specified number of frames at specified intervals for time-lapse capture. 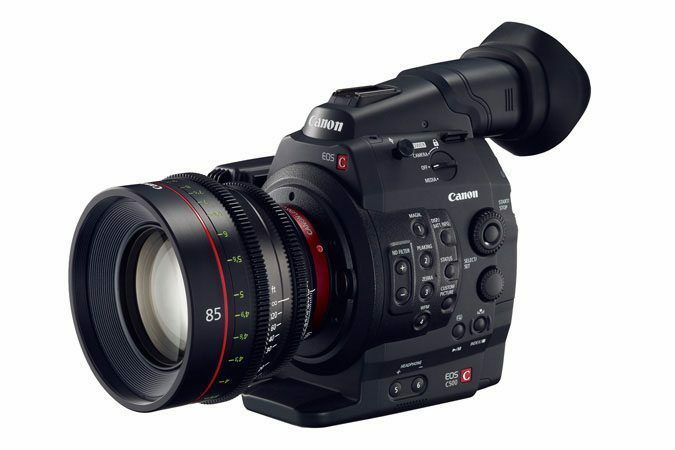 The Canon EOS C500 4K fully supports both 4K and 2K image resolutions; as such, it is the ideal choice for demanding video productions across a wide gamut that ranges from high-quality commercials and TV dramas to motion-picture releases. A 4K workflow offers four times the resolution of standard high-definition acquisition, resulting in life-like theatrical presentations, a familiar, film-style workflow, full versatility during post-production, and added flexibility for visual effects. Canon design engineers have developed a 4K/2K acquisition platform and matching workflow for the video and motion-picture industries. With 4K rapidly moving to become the de facto standard for theatrical projection, the need for high-resolution acquisition is a production reality. The EOS C500 is designed to fit seamlessly with projects shot entirely in 4K, or for mixed 4K/2K productions. Coupled to external data recorders, the EOS C500 is a true “4K powerhouse,” while still retaining the flexibility to handle standard HD workflows. 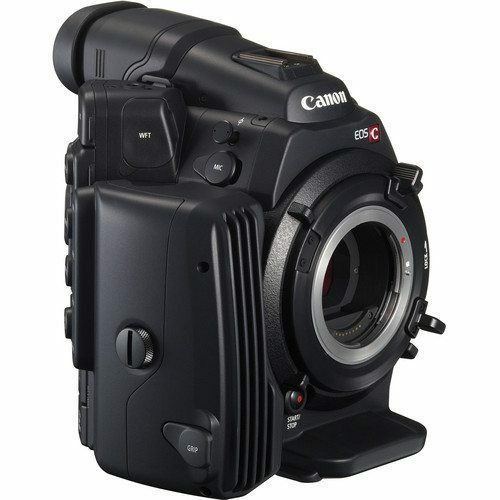 The Canon EOS C500 4K lets you capture images in a choice of 4K Cinema RAW and 4K Half Cinema RAW modes at frame rates up to, respectively, 60 fps and 120 fps, with 10-bit resolution. For enhanced flexibility, these two Bayer RAW modes are offered in a choice of Digital Cinema Initiatives/DCI 1.895:1 or Quad Full High Definition/QFHD 16:9 aspect ratios. 4K RAW data output from the EOS C500 image sensor can be recorded using about one-third of the space required for 4K RGB data, and Cinema RAW-based recording systems offer an enhanced degree of creative freedom during post-processing. Primary applications for Cinema RAW include video production for high-end commercials and major motion-picture releases, in addition to footage for high-quality visual effects. 4K Cinema RAW data output can be processed using the Cinema RAW Development software application, which is available through the Canon website.